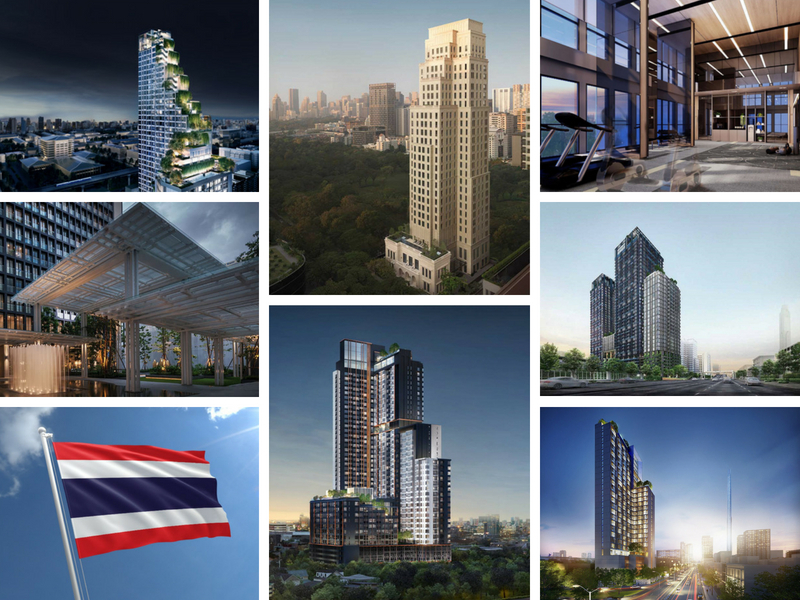 A guide to the top property developers in Thailand. Must read for buyers. Buying a property in Thailand as a foreigner can be daunting. In fact, buying a property in any foreign country is a challenge. 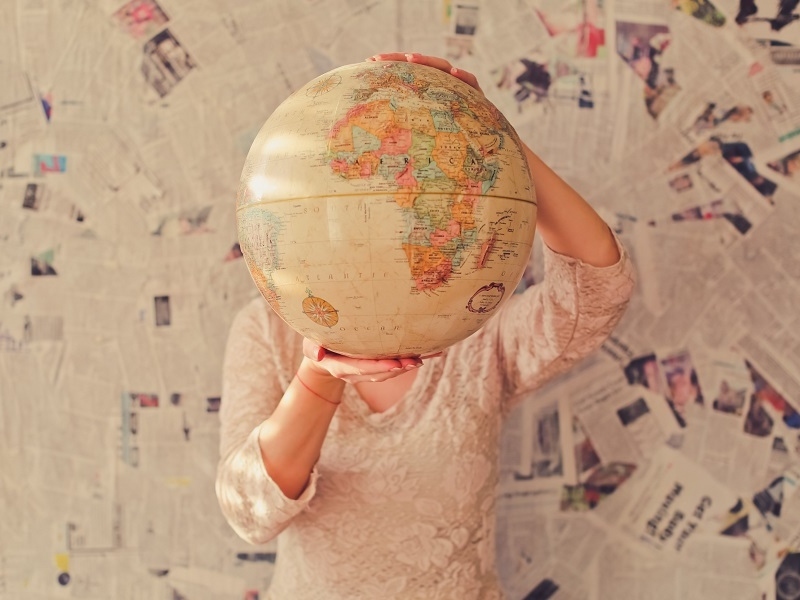 Unfamiliarity with the rules and regulations as well as difficulty in understanding local contracts in a foreign language are among the problems which investors face when purchasing overseas properties. 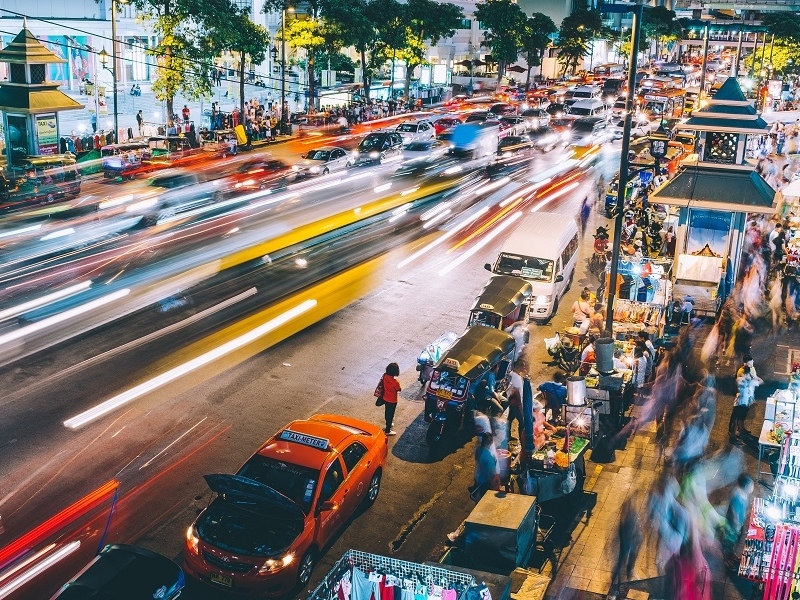 In Thailand, things get a little more complicated, especially when a Foreign Exchange Transaction (FET) Form is required by foreigners when purchasing Thai property. On top of that, up to 49% of the aggregate area in a condominium can be foreign-owned. 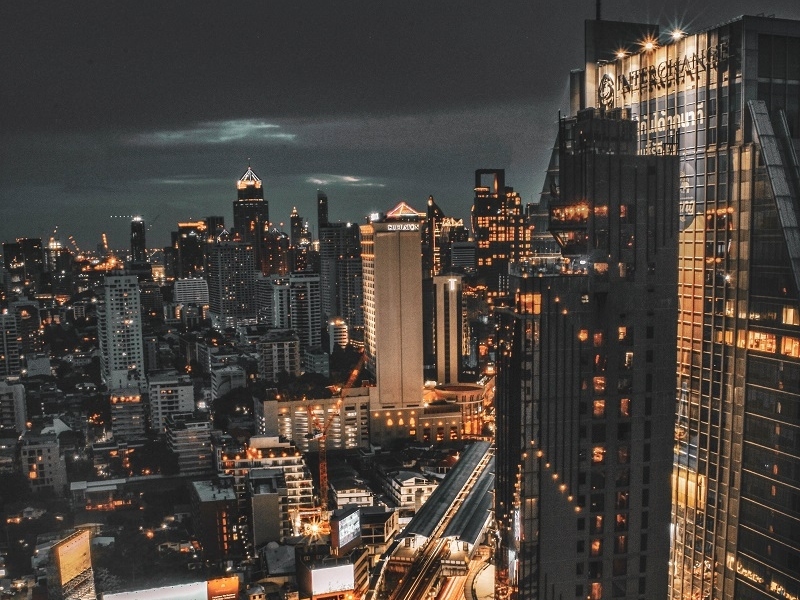 This means that the Thai developer has to facilitate and ensure that the foreign buyer takes the correct steps to purchase a property in Thailand. If proper steps are not taken, transferring the title to the foreign buyer may become an issue. This is the reason why I have always advocated the importance of purchasing from a reputable developer. The developer should be of a certain size in terms of market capitalisation. Preferably listed on the Thailand Stock Exchange. Also, the developer should have good support for foreign buyers either in the form of a support office overseas or have their contracts and transfer procedures handled by staff that can correspond fluently in English or the spoken and written language of the foreign buyer. There have been cases whereby foreigners have gone to Thailand to place down payments for properties and as such transactions will not produce a FET form, these foreigners may find it difficult to transfer the title of the property to their name. In this aspect, I would highly recommend purchasing from a developer that has a good track record of dealing with foreign buyers. As buyers of Thai property, it would be good to understand who the top developers in Thailand are. Pruksa Real Estate PLC was founded in 1993. Pruksa has consistently topped the developers’ rankings in terms of total revenue. Pruksa is a very established developer in Thailand and to many local Thais, Pruksa is the largest and most reputable developer in Thailand. Pruksa focuses on building single-detached houses, townhouses and condominiums. In fact, they have more single-detached houses and townhouses projects than condominium projects. This shows their stronghold on the local Thai market. They are also a developer of luxury condominiums and projects like The Reserve Sathorn and The Reserve Thonglor were very well received by both the local and foreign wealthy buyers. Starting prices were THB 13 million and THB 10 million respectively. They just launched their latest series, Chapter One. Chapter One Flow Bangpo starts from THB 2.59 million Baht. Sansiri PLC is, to me, the most foreigner-friendly Thai developer there is. They have offices set up in Shanghai, Hong Kong and Singapore just to cater to those markets. Sansiri’s marketing strategy seems to focus their condominium launches in overseas markets before launching locally in Thailand. Sansiri provides excellent customer support for foreign buyers. They are the developer for Bangkok’s most expensive condominium, 98 Wireless, along Wireless Road. They have collaborated with the BTS Group on The Line series of condominiums. The Line Sathorn which is located next to Surasak BTS Station was sold out in less than 2 weeks, both local and foreigner quota. Prices for a one-bedroom were about 8 to 9 million THB. Their other series, the Haus Series and XT series are also very popular. Their latest projects are XT Ekkamai, XT Huai Khwang and XT Phayathai. Sansiri is also the developer for the T77 community. A guarded and gated community in the Ekkamai and On Nut area. Noble Development Public Company Limited listed its shares on the Stock Exchange of Thailand in 1997. To date, Noble Development has about 20 projects. Much less than big players like Pruksa but it would be good to note that many of Noble Development’s condominiums are located in very prime areas and some have direct link bridges to the BTS Stations. In my personal opinion, Noble Ploenchit is one of the best projects you can buy in Bangkok. It is located right next to Ploenchit BTS Station and when you exit the station, there is a link bridge less than 20 metres away from the station that links directly to the condominium. Personally, Ploenchit is the most central part of downtown Bangkok and Noble Ploenchit is the nearest condominium to the BTS Station. To top that off, Noble is the developer for Noble Remix, another condominium that is linked to the BTS station via a link bridge. Noble Remix links directly to Thong Lor BTS Station. Thong Lor is Bangkok’s prime residential district. The rich and famous of Bangkok tend to live and frequent this area. The area is also home to many good restaurants and bars and has a very strong Japanese community. Noble’s recent projects include Noble Around Ari, Noble BE19 and Noble BE33. Major Development PLC was founded in 1999. The company primarily develops condominiums and thus a large chunk of their business is with foreign buyers. Major Development is well known for their high-quality finishing and excellent interior design. Some of their projects are pet-friendly. It is not well-known in Thailand that most condominiums are not pet-friendly. Thus when foreigners move to Thailand, they may bring their pets only to find that their pets are not allowed in the condominium which they already rented. Major Development sees this as a gap in the condominium and is actively promoting pet-friendly developments in Bangkok. Recently their pet-friendly condominium, Maru Ladprao, was fully sold out not too long after it was launched. It was located within a minute’s walk from Ladprao MRT Station which will be the intersection between the existing Blue Line and the upcoming Yellow Line. I personally like their current project Maru Ekkamai. It is close to Gateway Ekkamai and Ekkamai BTS Station. One of the largest developers in Thailand, Land and Houses is a conglomerate. Based on current market valuation, Land and Houses may be the largest developer that is listed on the stock market. It would be wise to note that Land and Houses have other auxiliary businesses as well. Home Pro, a popular chain of home furnishing and appliance stores, LH Bank, Quality Houses, a real estate services company are all under the LH Group of Companies. They even have their own construction arm. The Room series is a very popular condominium series by Land and Houses. Their latest project, The Room Sukhumvit 38, has already garnered a lot of pre-launch reservations. Ananda is a mid to large developer. They have many projects in good locations, especially in the Rama 9 and Silom area. Their Ashton series of condominiums are their highest range of condominiums and a notable mention must be made to the success of Ashton Silom which received very strong interest during its launch. The thing about Ananda is that even though they have very good projects, I feel that they do not pay enough attention to the international buyers’ market. One notch slightly lower will be their Ideo Q Series. Their Ideo Mobi series is another notch lower down but still very well received by buyers. Established in 1989 and listed on the Stock Exchange of Thailand in 1993, Supalai is the consistency of the top 10 largest developers in Thailand in terms of residential bookings for new properties. Their products are fitted with good fittings and furnishings and their layouts are rather thoughtful for the end user. The issue is that not many people outside of Thailand know of Supalai as they hardly launch their developments overseas. 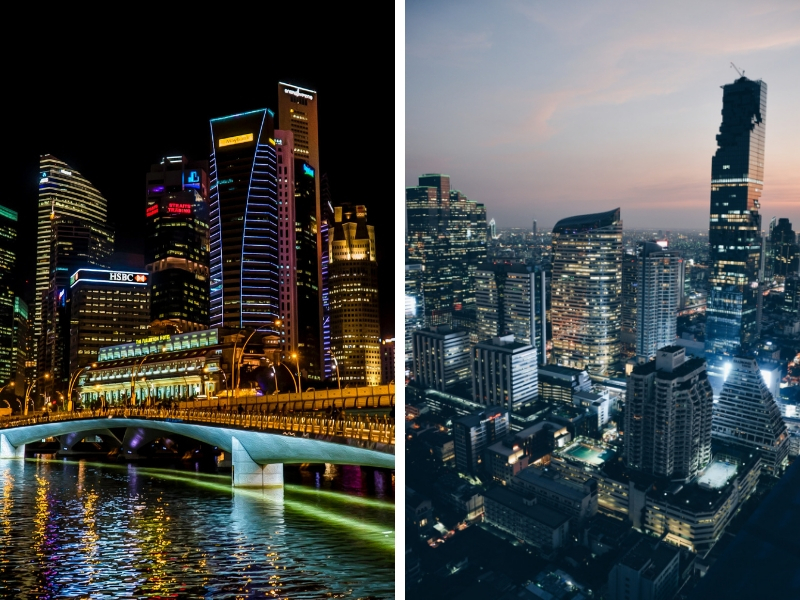 A very experienced developer, AP has many projects spread across Bangkok. To me, AP’s products have a mass market feel to them. I am unsure whether it is the marketing materials or the materials and colour schemes of the condominiums. That being said, they have an extremely high-end development, Vittorio, located in the heart of The Em District and prices start from THB 31 million. Their more popular condominium series are Rhythm and Life. Developments like Rhythm Sathorn, Life One Wireless and Life Asoke Rama 9 are very popular with local and international buyers alike. Chewathai was co-founded by a Singapore Stock Exchange (SGX) listed developer, Tee Land. Tee Land had recently sold off its shares back to their Thai partner in Chewathai. It still has a distinctively Singaporean spine to the company as its CEO is Singaporean. Although the number of projects which are launched by Chewathai is few and far between, in my dealings with them, their projects and transfer process are done very well. They completed Chewathai Residence Asoke earlier this year and this development is located very close to Rama 9 MRT Station. They have a property, The Surawong, which is located close to Sala Daeng BTS Station which is already completed. It is the only condominium located along Surawong Road. Origin Property PLC is a very well known developer in many parts of China. Their projects do very well in the Chinese market. In terms of market capitalisation, they are within the top 10 developers in Thailand. Their developments are located very close to the BTS Stations and use very good finishing and they incorporate technology nicely into the condominium unit. Their Park Origin series of Park Origin Phayathai, Park Origin Thonglor and Park Origin Phrom Phong are getting a lot of demand even before booking opens. For Park Origin Phayathai, they engaged Ong and Ong to be the architect for the development. The development will be a mixed development with an integrated hotel, offices and a shopping mall within the development. Siamese Asset is a developer which I have dealt with, their products are very well furnished at very reasonable prices. Their units are usually fitted with more than usual carpentry and fittings as compared to other developers. I personally find their two current developments, Siamese Exclusive Queens and Siamese Exclusive 87 very good projects in very good locations with very good fittings and finishes. I particularly like the loft concept at Siamese Exclusive 87. It should appeal to the generally expatriate and Japanese group of tenants in the On Nut area. All Inspire is an up and coming developer. They are very popular with buyers in Hong Kong, Singapore and Taiwan. Their developments like The Excel Hideaway are well received by international buyers. The Excel Hideaway is close to Habito Mall within the T77 Community. I personally bought developments from Fragrant Group. Not to be confused with the developer of the same name in Singapore. Their projects have an eco-theme to them. This list of developers in Thailand is compiled based on my personal knowledge and experience in handling properties in Bangkok. I will constantly update it and I hope it may serve as a reference for buyers when they are looking for a property in Bangkok. 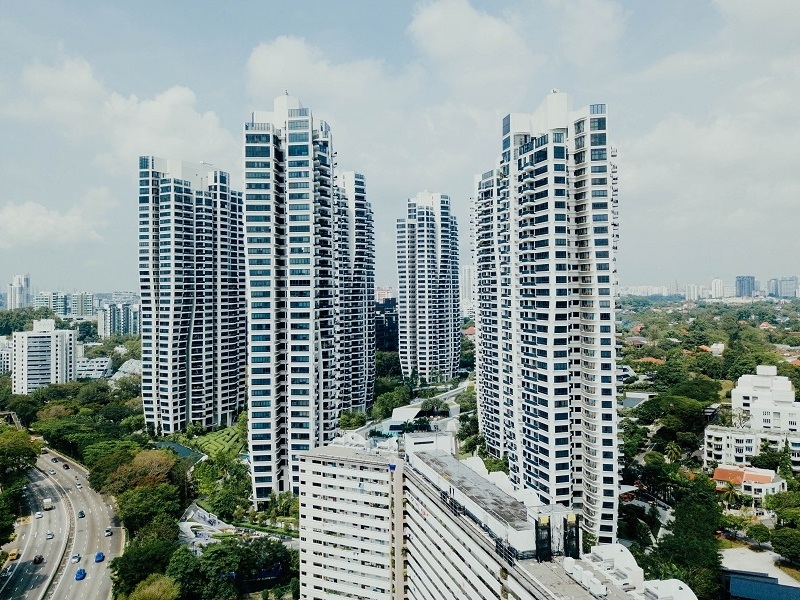 Please note that I have encountered instances whereby buyers bought condominium units directly from certain developers and they had issues with transferring the title of the condominium project never got started. Do note that if you were to purchase a Thai condominium, the payment should be made with foreign currency and the payment should be made from outside Thailand. 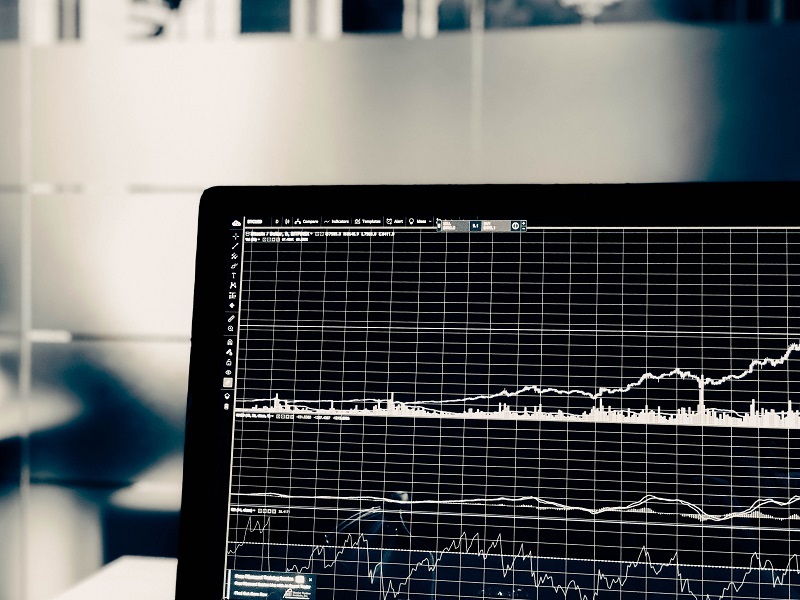 Thus you may want to look for people who are experienced with the buying process rather than dealing with the developer staff locally in Thailand. P.S. [Disclaimer] I have been dealing with Bangkok Properties since 2013 and run a Bangkok Property Portal InvestBangkokProperty.com. Some of the developers I mentioned above will pay me a commission if I bring a client to purchase a condominium unit from them. My review and comments on the developers are based on my dealings and understanding of the Bangkok property market for foreign buyers. I also run a YouTube Channel and I try to populate the channel with site visits and location videos so that buyers can make an informed decision when buying condominiums in Bangkok. You can visit the Invest Bangkok Property YouTube Channel here. 6) Can a foreigner take a property loan in Thailand? 15) Looking to buy a Bangkok condo? Things to take note of.